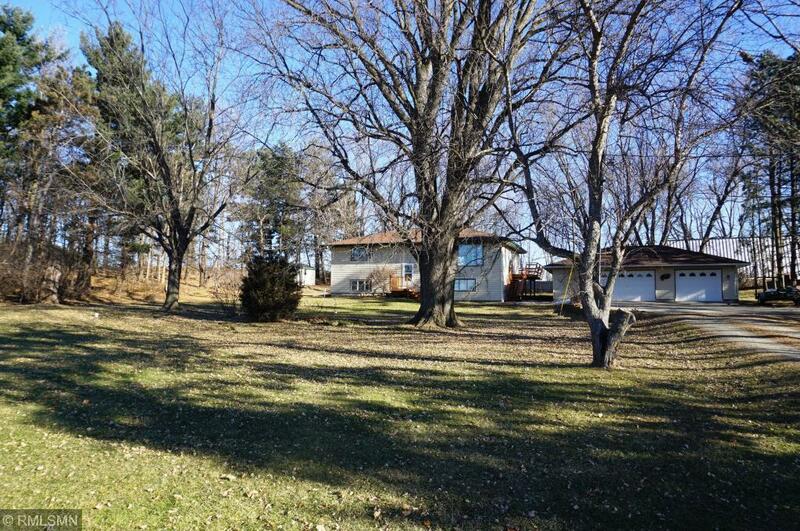 1 Acre country setting includes a large home and oversized detached insulated & heated garage! You'll appreciate the big kitchen with ample cabinetry and center island, nicely sized bedrooms and wrap around deck! Spacious lower level family room features a pellet wood stove! Find brand new carpet in the lower level; new seamless gutters; house/garage roof-2012; siding approximately 10 years old. New septic to be installed. Convenient location minutes to town or Red Wing, MN!